WiFi was amazing, which helped us a lot, as we had to do a lot of online work. Even though we chose the side apartment, we still had a view of the ocean. Host and staff were amazingly accommodating, and arranged for us to park our Overland vehicle right in front of the concierge, where we could see it from the apartment, as we could not fit in the parking garage. Apartment has a washing machine, which we loved, as we had a lot of laundry to do. Place was very clean, and the basics were provided in each area, including the kitchen. Location is awesome - you can easily walk to the water, a mini-market, or restaurant, and there is a walking path along the water. 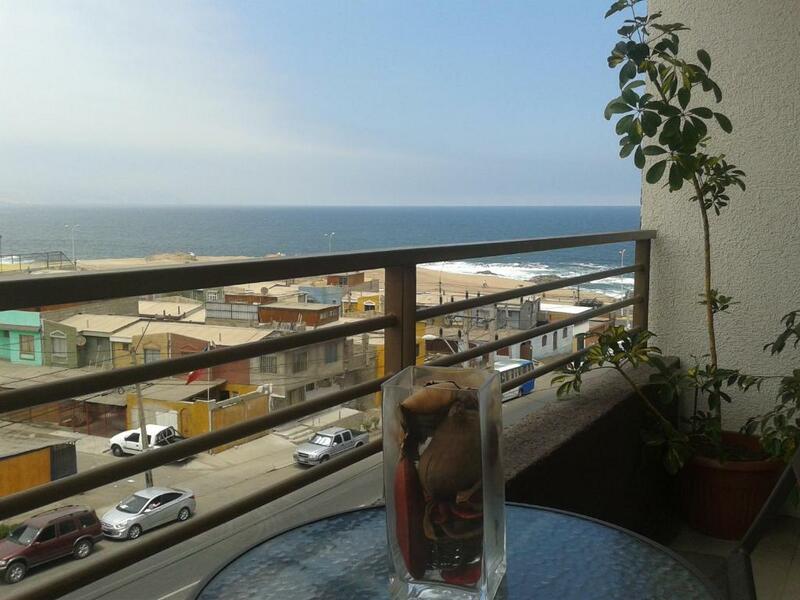 Excellent location right near the beach, and an amazing view of the ocean. Great and helpful staff. The apartment was really lovely, and well equipped. Excelente apartamento! Completo, limpo e confortável! Indico a todos! Wij hebben dit super appartment voor een 2de keer geboekt, nu op onze terugreis vanuit het noorden van Chili naar Santiago. Hartelijk dank, lieve Verónica! 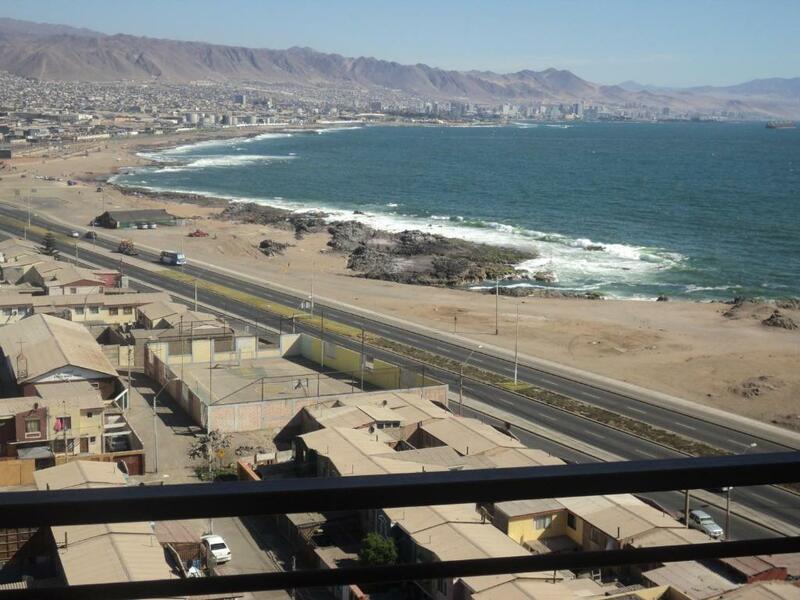 Super fijn appartement met eigen balkon (heerlijk ‘s ochtends in de zon met ons ontbijtje en uitzicht op de mooie kustlijn van Antofagasta). Woonkamer met zitbank + tv. Goed uitgeruste open keuken met grote koelkast en wasmachine (erg handig) Aparte 2-persoons-slaapkamer met ensuite-badkamer. Super lieve en behulpzame eigenaresse. Lieve Verónica, Muchos Gracias! Hasta luego! Hermosa vista, cama cómoda. Equipado con lo necesario para una buena estadía. Sehr schöner Meerblick aus der gesamten Wohnung. Gemütlicher Balkon mit Meerblick. Bequemes Bett. Gutes Badezimmer und sauber. Gemütliche Wohnung zum relaxen. Direkt am Meer, 2 min. zur Fussgängerpromenade. Zu Fuss ca 15min zum nächsten schönen Badestrand. La vista. En nuestro caso la cercanía con casa de nuestra hija. Excelente lugar para descansar y desconectarse. Departamento muy bien equipado, locomocion y negocios cercanos. Muy expedito el contacto con la dueña, Verónica. Lock in a great price for Departamentos Parque Costanera – rated 9.3 by recent guests! Featuring a garden Departamentos Parque Costanera offers self-catering accommodations with free Wi-Fi in Antofagasta. Trocadero beach is 1,650 feet from the property. 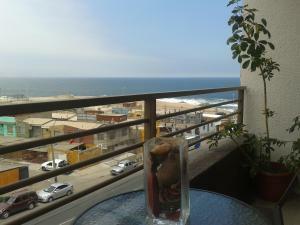 Providing a tranquil environment, this apartment has a kitchen, cable TV and panoramic sea views. 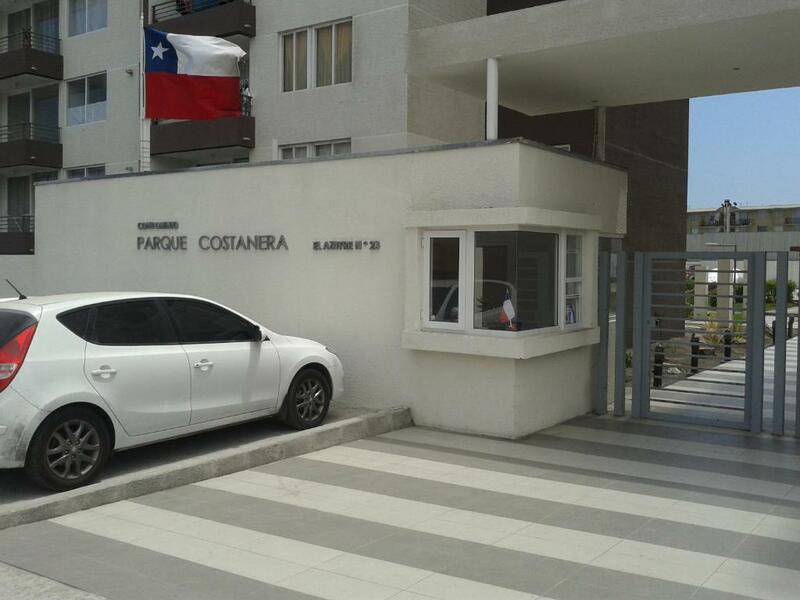 Guests at Departamentos Parque Costanera are provided free on-site private parking. Parque Costanera is a 10-minute drive from the city’s commercial and financial center. Cerro Moreno airport is only 3.7 mi away. When would you like to stay at Departamentos Parque Costanera? This apartment has a kitchen, cable TV and panoramic sea views. House Rules Departamentos Parque Costanera takes special requests – add in the next step! Departamentos Parque Costanera accepts these cards and reserves the right to temporarily hold an amount prior to arrival. Based on local tax laws, Chilean citizens (and foreigners staying more than 59 days in Chili) must pay an additional fee of 19%. Foreign business travelers who require a printed invoice will also be charged the additional 19%, regardless of the length of their stay in Chili. This fee is not automatically calculated in the total costs for the reservation. A deposit via bank wire is required to secure reservations. The property will contact guests after booking to provide bank wire instructions, and if they can't confirm the reservation or the payment, they will contact Customer Service to cancel the reservation. Please inform Departamentos Parque Costanera of your expected arrival time in advance. You can use the Special Requests box when booking, or contact the property directly using the contact details in your confirmation. Street noise was a little loud during the week nights, with a lot of very big trucks and loud motorcycles constantly setting off car alarms, but the good things about this property far outweigh this slight inconvenience.